Under RNCF collaboration with SAP APJ 1 Billion Lives project, Institutions can pool their Anonymized Data from OncoCollect in a common Database maintained by RNCF and managed by the Institutions as a group for Analysis, Presentation and Publication. 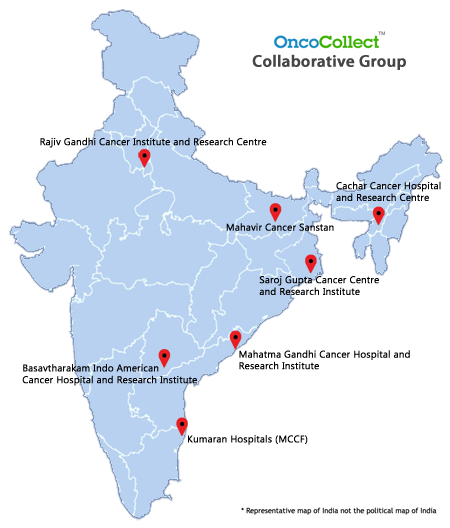 Disease Groups can be formed among all the OncoCollect users and the Anonymized Data can be pooled to a common Study Database maintained by RNCF and managed by the Group for Analysis, Presentation and Publication. Lymphoma Group with Dr Reena Nair as the Principal Investigator is formed.